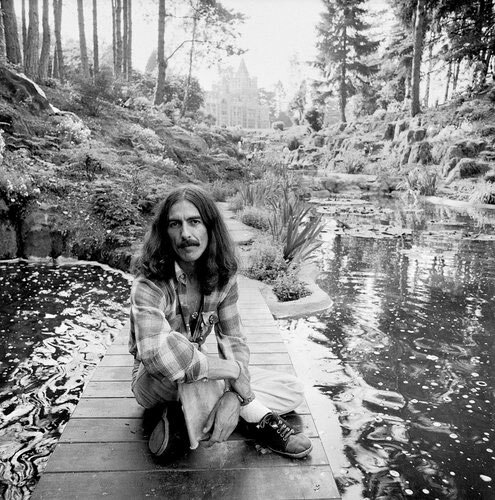 GEORGE HARRISON on his English estate FRIAR PARK in 1975. GEORGE HARRISON is the subject of a new documentary directed by MARTIN SCORSESE, ‘George Harrison: Living in the Material World’ – which will be screened in 2 parts – on HBO this WED and THURS – OCT 5 and 6, 2011. DAVE ITZKOFF of the THE NEW YORK TIMES, wrote an intriguing advance article on the flick – published last weekend, Sunday Sept 25, 2011.